After making a few appearances in benchmark test, BlackBerry's third fully android smartphone has finally broken cover in this official render image. 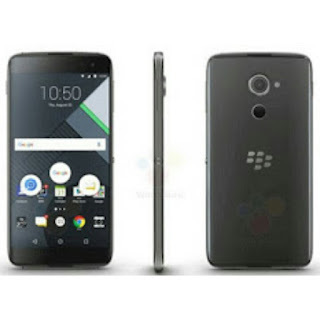 The device which used to go by the codename "Argon" fits on the high end spectrum of BlackBerry's new Android line and would sport a 5.5 inch QHD AMOLED display, a Snapdragon 820 processor, 4GB RAM, 32GB storage, 21MP/8MP rear and front camera combo, fingerprint scanner, 3000mAh battery with Quick Charge 3.0. The DTEK 60 which looks a lot like the DTEK 50 likely to be priced a bit higher than the $450 price point of the DTEK 50 at $530.